Sign the petition for a fair climate change agreement at the Copenhagen Conference, let the U.S. government know it’s time to act on climate change, and of course incorporate as many green changes into your lifestyle as you can. With all the talk of books lately (and more coming—I still have some more reviews I promised to publish! ), I thought now would be a good time to tackle the concept of going green regarding books. Probably the greenest course of action regarding books is to turn away from physical books all together. 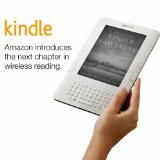 You can download books directly to your computer or other reading device like Kindle from the Internet and save money as well as trees; to compare reading devices, check out eBook88.com. Other online options for use without a reader include NetLibrary.com, Gutenberg.org, or DailyLit.com, which deliver books right to your inbox. And remember, you can share your downloaded copies, making this already green choice even more green. 2. Take part in online book swaps or selling. Over the last several years, the Internet has absolutely exploded with sites set up just so you can exchange or sell books. 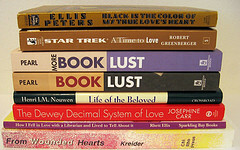 Each system runs a little differently, so check out places like Bookmooch.com, TitleTrader.com, PaperBackSwap.com, Bookins.com, and Cash4books.net, and choose which you prefer. 3. Share with others—in person. Before the Internet, there were always groups of like-minded people who enjoyed books and lent them to one another. Oprah started a craze with book clubs, but there’s no reason you can’t start a book-swapping club. Ask around and you may find that your co-workers or fellow parents are interested in book swapping, which can also save you a good bit of money on books as well. Donate to your old books to your local library or used bookstore, where you’ll likely also get credit on the purchase of other used books. Speaking of which…. Many true booklovers can’t throw away (but if you do, recycle!) books, so you can always find plenty of used books for sale at cheaper prices at used bookstores, thrift shops, garage sales, and library sales. Another option is on Amazon.com; just below the Amazon information, you’ll often find private sellers who have less expensive, used copies. What are your green tips for booklovers? P.S. I was recently named this month’s judge of Scribbit’s Write-Away Contest. The topic is FOOD, the deadline is Sunday, June 21st, and the prize is an ubercool picnic basket full of goodies. Get writing, and see full rules for submissions here. One of the easiest ways to go green, cut back on the energy you use, and save money all at the same time is by performing a DIY home energy audit. And spring just happens to be a great time to do a home energy audit, especially if you’ll be using air conditioning throughout the summer and don’t want to lose your cool air through leaks. As someone who lives in a centuries-old house, I can assure you that following the DIY steps below can make both your energy bills more pleasing and your house temperature more comfortable year-round without spending any extra money on heating or cooling. Plugging up energy-sucking drafts can save you up to 30% annually, so have a look around your house to see where air might be escaping. Any gaps along the baseboard, in the foundation, at junctures of walls and ceilings or around pipes, wires, electrical outlets, mail slots, door and windows need to be sealed. Caulking or weather stripping will usually do the trick. Be sure that the insulation levels in your home are at least at the recommended minimums; this is especially important to monitor if you have an older home as recommended levels may have changed since the insulation was first installed. As 10% of your electric bill comes from lighting, you should be sure that you aren’t using higher wattage than necessary; you should consider compact fluorescent light bulbs especially for areas that are lit for hours at a time. Make sure filters are clean and in working order and that ductwork is clear of dirt streaks, which mean that air is leaking out. Moreover, if you’ve had your unit for more than 15 years, it may be time to consider replacing it with a new, more energy efficient model. For more detailed instructions on how to perform a do-it-yourself home energy audit and for more energy (and money!) 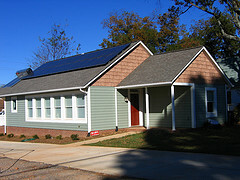 saving tips, visit the Department of Energy’s Consumer’s Guide to Energy Efficiency and Renewable Energy. 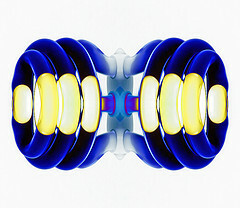 Have you done an energy audit of your home? Will you? Welcome to the third installment of Going Green! Now, just in time for Spring, we’re talking about some literal greens—in gardens. By growing your own food, supporting local farmers, and/or joining a community garden, you’ll not only be getting the freshest, healthiest, and most delicious food available, you’ll also help save the planet from some nasty carbon emissions. What carbon emissions, you ask? Did you know that in America, grocery store produce often covers around 1,500 miles before landing on the dinner table?And that’s only the stuff actually produced in America–imagine how much traveling imported fruits and veggies do! All that transportation adds up to a whole bunch of extra *blech* in the air—completely unnecessary as you can grow your own food, participate in a community garden, or simply buy from local farmers’ markets. Home gardens are increasingly popular, not only for the fresh fruits and vegetables but also because they are a great way to save money. The National Gardening Association estimates that about 20% more American households than last year will plant gardens, and many are doing so to pinch pennies. Hey, even the President Obama and First Lady Michelle are gardening these days! It’s the coolest! Here in rural Calabria, it’s rather common for people to keep an “orto” full of fruits, vegetables, and herbs. 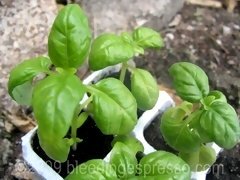 You may remember my mentioning our “giardino” here on the blog in the past, but unfortunately as it doesn’t get much sun, we could never plant much; we had peppers, parsley, basil, and that’s about it. But, through a great stroke of luck since Pasqualina came to stay with us, P and I have secured a plot of land very close to the house we’re slowly moving into as it’s remodeled…and it’s gardening time! This piece of land gets sun all the live long day, which is perfect for all kinds of fruits and veggies. The “orto” already had lemon, orange, fig, and peach trees, and (after spending *many* hours cleaning up the essentially abandoned land) we have added onions, garlic, lettuce, artichokes, basil, and parsley. 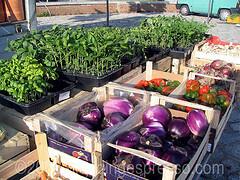 Soon we’ll also plant eggplants, peppers, and, of course, tomatoes! Whee! If you know of more helpful sites on gardening, etc., (especially international ones), please share in the comments! Are you gardening this year? Do you normally garden? P.S. For those wondering what has happened to Cherrye’s My Bella Vita, there are some technical details that she’s working furiously on–don’t worry, she’ll be back as soon as possible! It’s the first Friday of the month, which means it’s time again to talk about Going Green. Last month we discussed green cell phones and cell phone recycling, and today we’re moving on to another way to recycle and reuse. And we’re talking coffee. Coffee grounds, actually. As you well know, I drink coffee, and apparently so do many of you; coffee is the most consumed beverage worldwide with 400 million cups downed each year. Now that creates a lot of used coffee grounds! 1. Organic fertilizer: Sprinkle them in the soil of plants that love acidic soils, especially rosebushes (my roses *love* coffee grounds! ), rhododendrons, camellias, evergreens, carrots, and radishes. 2. 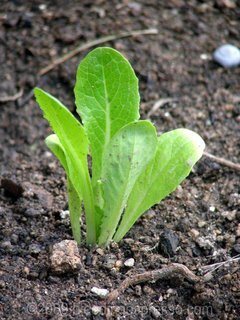 Organic pest and ant repellent: Sprinkle areas where ants, slugs, and snails hang out and destroy your garden. 3. Organic cat repellent: Yes, I love cats, but if you want to keep them out of your plants and garden, coffee grounds will do the trick. 4. Mushroom growing soil: Inoculated mushroom plugs nestled into moist coffee grounds can mean a great mushroom crop for you. Put grounds in a glass container and press a mushroom plug into them, repeating with more grounds and mushroom plugs until you run out of room. If you see mold, just remove it. 5. Bait worm life support: Add coffee grounds to soil to help keep bait worms alive longer. 6. Closet deodorizer: Old pantyhose plus coffee grounds equals a sachet to keep your closet free of odors. 7. Refrigerator and freezer deodorizer: Place ground in a small cup and in the fridge or freezer much as you would baking soda. 8. 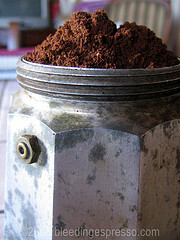 Pin cushion filler: If you still use pin cushions (like I do), dried coffee grounds are a great filler for the cushions. 9. Abrasive cleaner: For stubborn grease and stains on pots and pans, coffee grounds really get in there and do the job. 10. Dust deflector: We’re talking about the fireplace here; sprinkle coffee grounds on ashes before you start collecting them to minimize the dust. I *love* this tip and use it often. 11. Furniture scratch toucher upper: Use a Q-tip and coffee grounds to fill in scratches on wooden furniture–remember the coffee will stain the wood a bit, so don’t use it on something that won’t match. 12. Drain cleaner: Be careful with this one as you don’t want to clog your drain with coffee grounds! *But* to counter odors coming from your drain, you can pour about a half a cup of coffee grains down the drain followed by boiling hot water to get the grounds through. No more smells! 13. Meat tenderizer: This is one for leftover coffee as opposed to coffee grounds; soak steaks in coffee to tenderize and for an interesting added flavor. 14. Chocolate cake flavorer: Used grounds and fresh grounds both give a little kick to chocolate baked goods, including brownies. 15. Hand soap: Rub grounds on your hands to get rid of stubborn odors like onion and garlic. 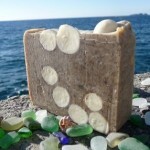 In fact, the soap I use in my kitchen is made with used coffee grounds–Caffè Vaniglia soap from Saponissimo. 16. Face mask: An egg white mixed with 1/4 cup grounds makes a great exfoliating face mask. 17. Hair rinse: After washing your hair, rub in coffee grounds for shine, softness, and even a bit of color for those of you who are dark-haired; remember coffee grounds act as a dye, so if you have light hair, unless you want highlights, this one isn’t for you. 18. 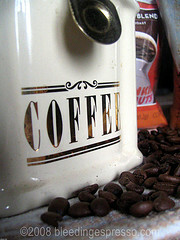 Cellulite rub: Mix one tablespoon of olive oil with 1/4 cup moist, warm coffee grounds and spread on cellulite hot spots. Wrap tightly with plastic wrap, leave on for a few minutes, and then remove wrap and shower as normal. For best results, do a couple times a week. If anyone tries this, you *must* let me know how it turns out. 19. Dye: Use a mix of coffee grounds and water to dye clothing, paper, or even Easter eggs. 20. Tattoo base: Make homemade temporary tattoos using coffee grounds and henna. 21. Dog flea dip: I haven’t had the nerve to try this one yet, but next bath time, my dogs are getting some coffee grounds rubbed into them after the shampoo and rinse routine. By the by, even if you don’t drink coffee, you can ask your local coffee shops and other places that serve coffee for their grounds, and start reusing them. The environment will thank you! Do you currently reuse coffee grounds? How? If you don’t reuse coffee grounds, which of these suggestions might you try? Buon weekend & Happy Birthday Dad!